School is back in session or soon to be for most kids! Take a look at these 20 easy back to school lunch ideas for kids that they will love! It’s that time of year when summer is coming to an end and school is on the horizon. That means school lunches and more! We have 20 ideas to keep the kids fed and happy all year long. These ideas are tasty, easy and inexpensive. It’s a win all around for everyone! 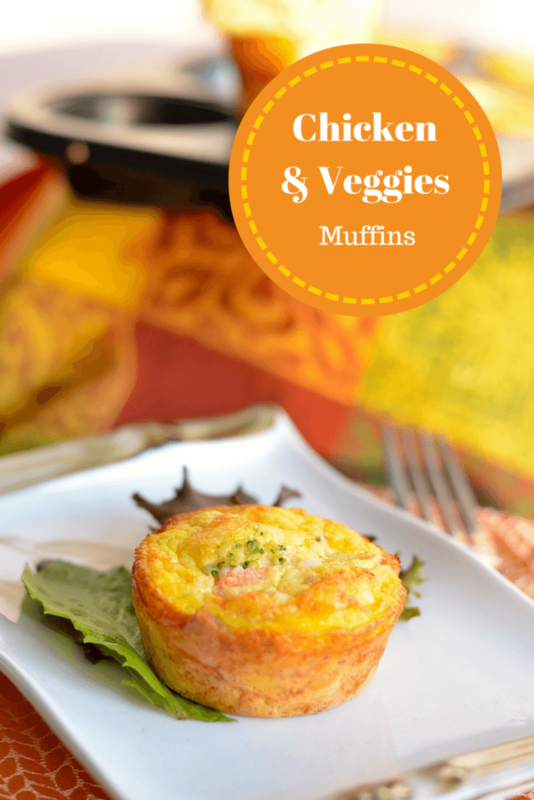 You will even find kids lunch ideas for picky eaters! We have cold school lunch ideas and even hot lunch ideas. 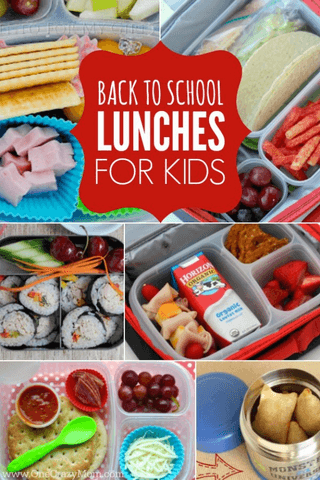 These kid friendly lunch ideas for school are perfect for just about everyone! I’m so excited for my kids to go back to school. Summer is over and it’s time to get back into the swing of things. My kids prefer when I make a homemade lunch for them each day but finding something they’ll actually eat is a whole different story. 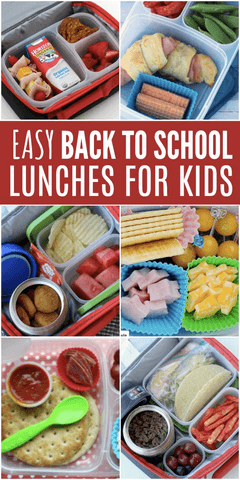 If you have picky eaters like mine, take a look at these back to school lunch ideas for kids they will actually eat. It doesn’t help anyone if the entire thing gets tossed. 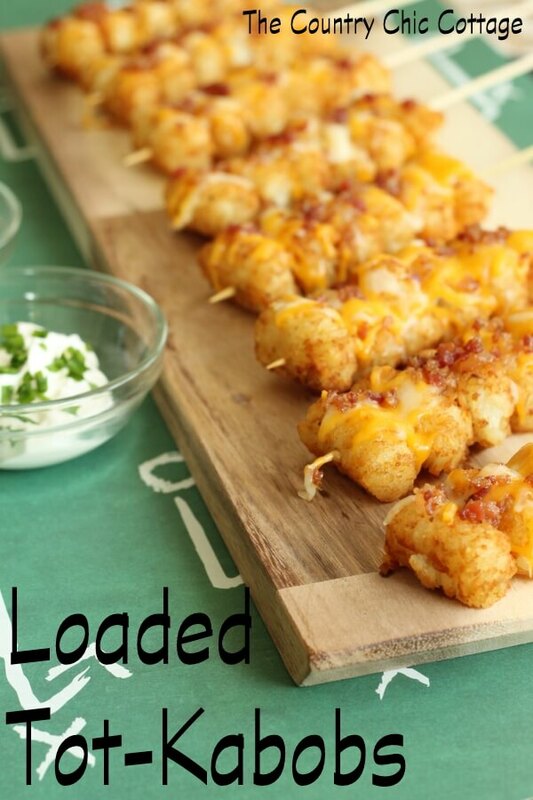 No worries with these yummy ideas because the kids will love them! Let’s get started with these easy lunch ideas for kids! 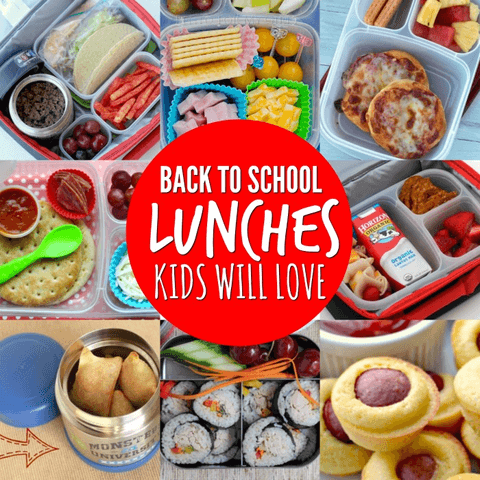 With so many lunch box ideas for school, this school year is sure to be a success. 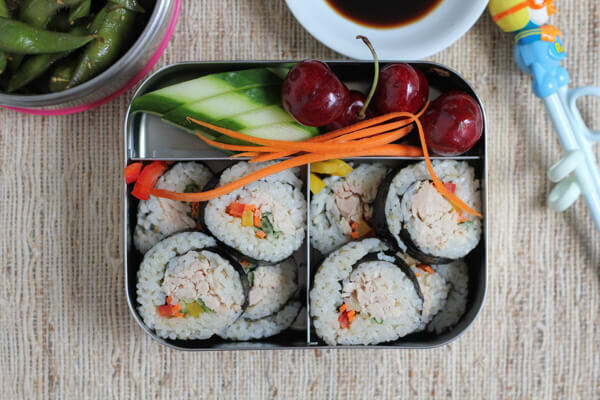 Back to School with Tuna Veggie Rolls!! Yummy sushi rolls made with canned tuna and veggies! Pack this colorful and healthy lunch for your kids! If you love the taste of corn dogs, you are going to love this easy baked homemade recipe for mini corn dog muffins! 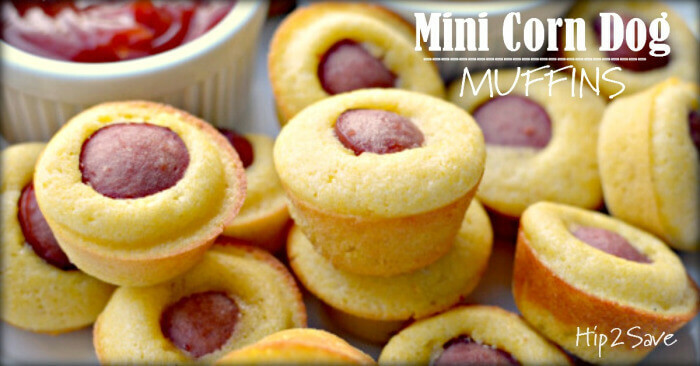 Kid’s will enjoy eating these tasty mini corn dog muffins. Plus, they are so simple to make. This is such a quick and easy fun lunch to whip up the night before. It seems kids will eat anything on a skewer! So tasty and fun! 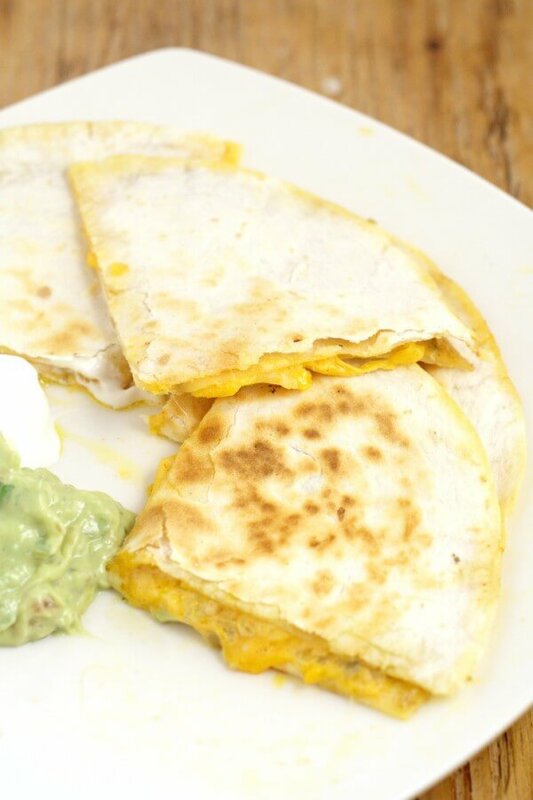 Cheese Quesadillas with Copycat Taco Bell Quesadilla Sauce tastes JUST like the original. The kids will think you are the best. We won’t tell them how easy it is to make these! Don’t miss this tutorial on how to pack pizza rolls for your kids! This is the perfect way to send pizza rolls that are warm and not soggy. It’s so simple! You can freeze these muffins in resealable freezer bags. They will be handy for those busy days. This is perfect to grab and go on hectic mornings. How fun! 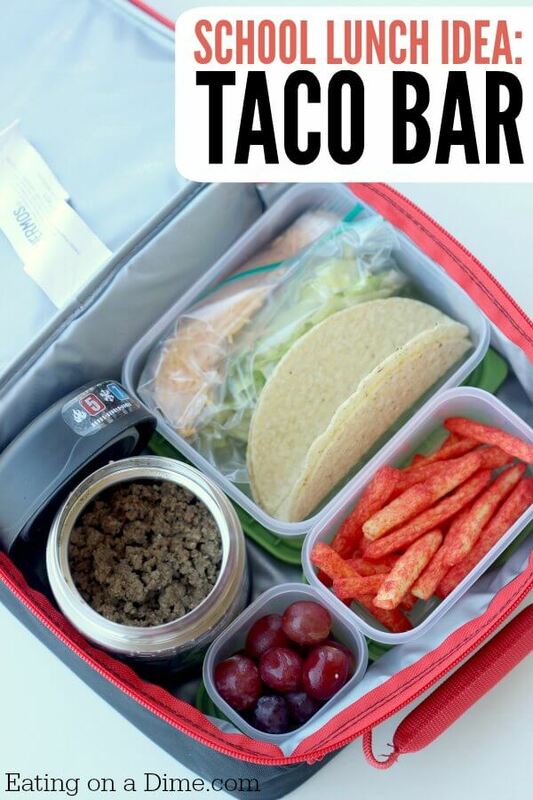 Your kids can assemble their own tacos at school. Everything is packaged separately so it will stay dry and mess free! 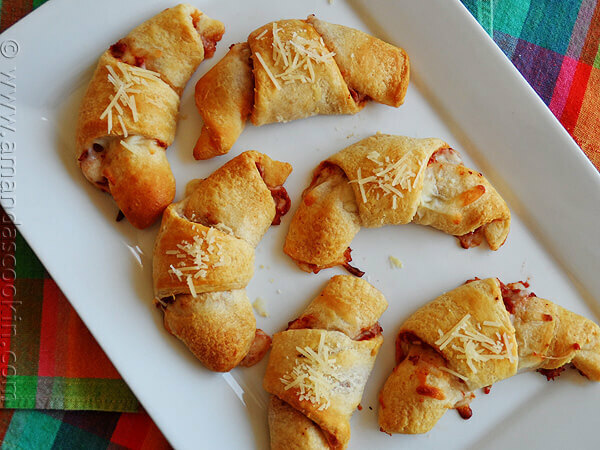 These tasty little hand held treasures have just the right amount of pizza sauce and melty cheese all rolled up inside a flakey, tender crescent! Everyone loves crescent rolls so these will be a hit. This is so fun and perfect for quick meals or snacks! 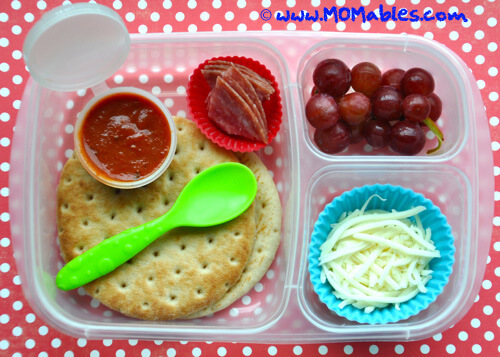 If your kids love Lunchables, but you’d like something a little healthier, then this super-flexible idea is for you! Biscuits can be used for more than just breakfast. 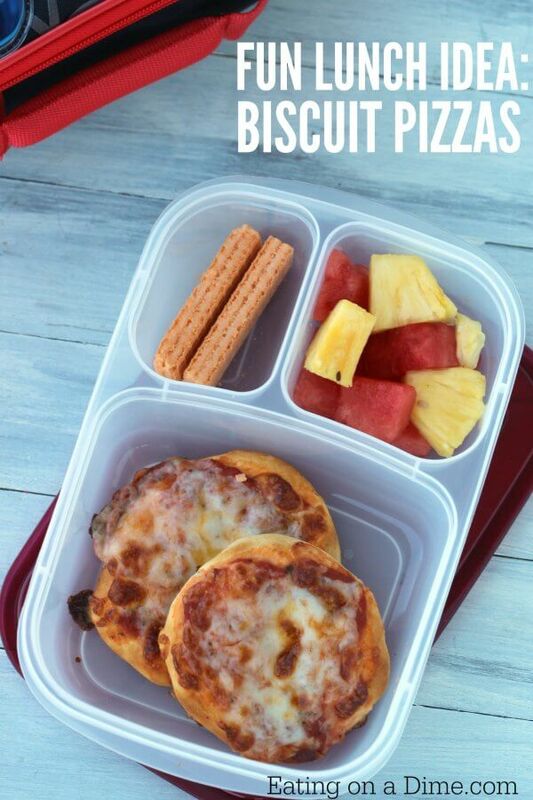 Transform them into Biscuit Pizza that your kids are sure to love having in their lunch box! These are very frugal to make as well. Make your own store bought lunchables. They’re easy to assemble and don’t take much time! You can customize these to suit lots of different appetites. 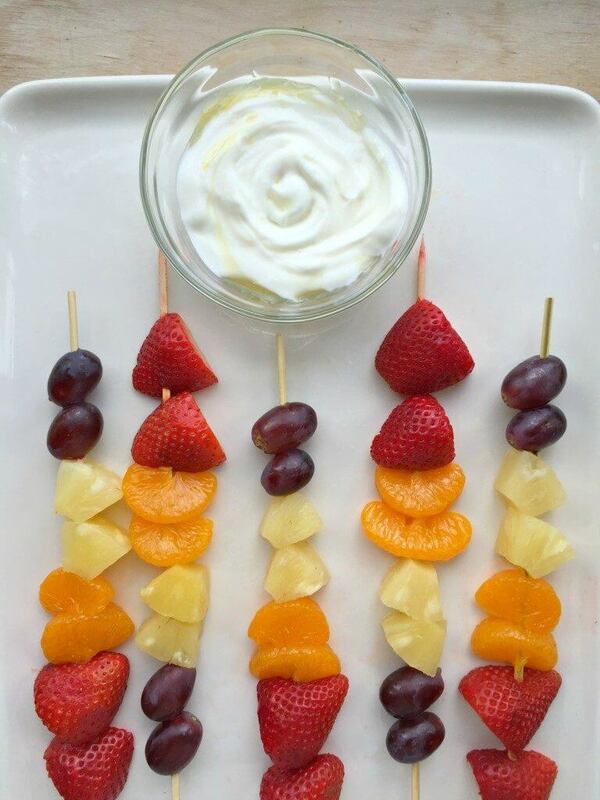 These adorable healthy yogurt dippers are perfect for your child’s lunchbox! Plus, they are so bright and colorful. 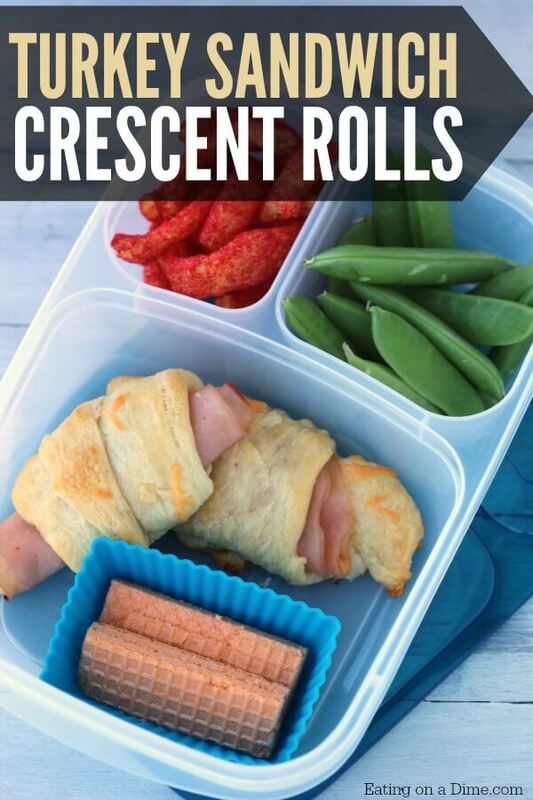 Kid’s love Crescent Rolls, so why not make them into yummy Turkey Sandwich Crescent Rolls for lunch! These are always a hit! 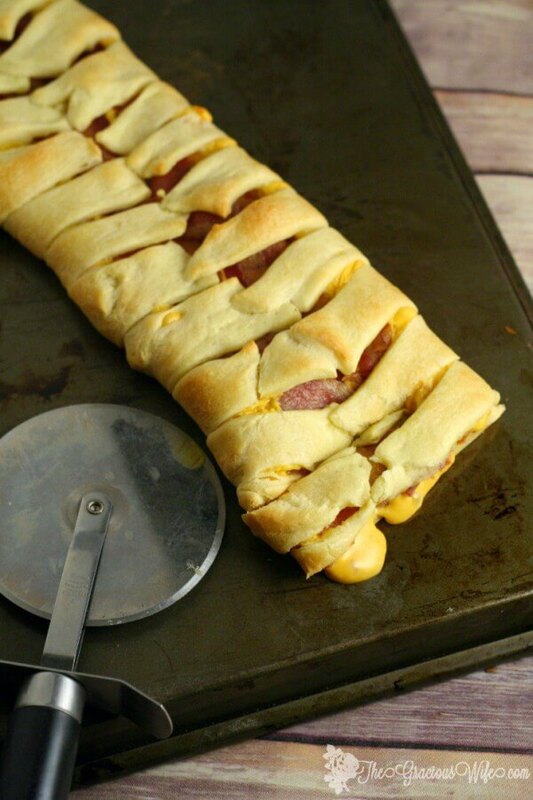 Bacon Grilled Cheese Crescent Braid is a quick and easy dinner idea that is super yummy. ONLY 3 INGREDIENTS! Grilled cheese, family-size! They’re easy to make and only take 6 ingredients! These are filling and loaded with flavor! 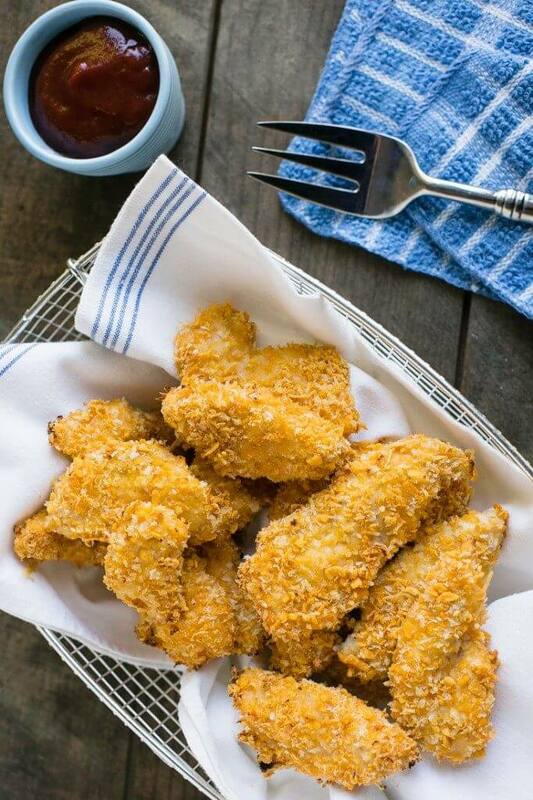 These delicious cheesy baked chicken fingers are coated with your favorite cheddar crackers and baked to crispy perfection in the oven. Pack your child’s favorite dipping sauce and they will love it! Your PB&J will never be quite the same again! 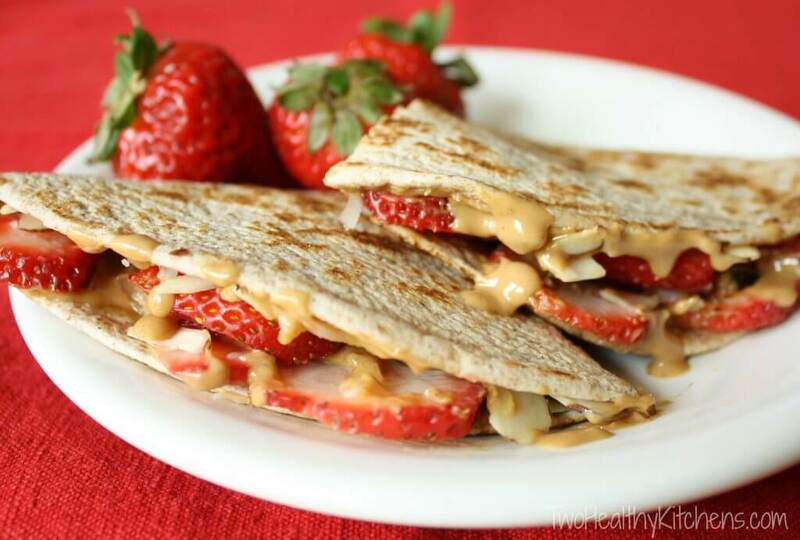 This is a delicious twist on the class peanut butter sandwich. Make this easy lunch and learn how to keep it warm, too! 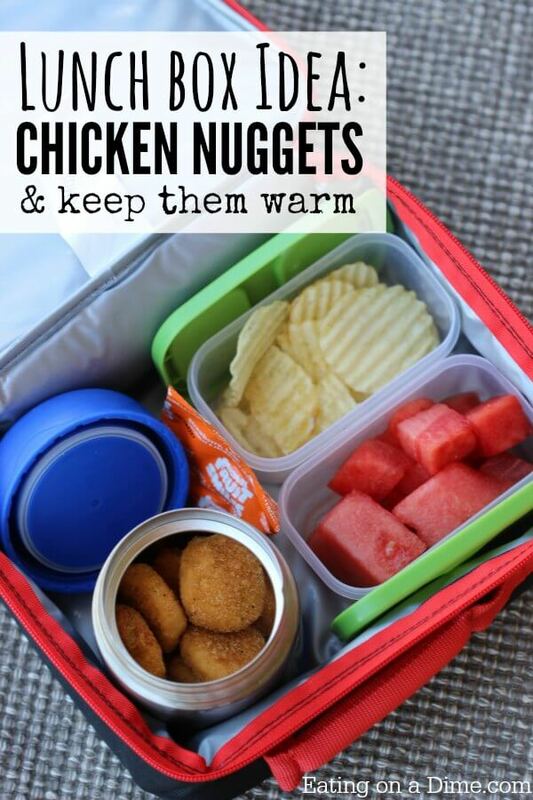 Chicken nuggets will be hot and still crispy. No soggy chicken nuggets here! Forget the store bought lunchables, make your own! Not only is it cheaper but it’s so easy. Plus, you can make these suited to what your child likes. Perfect for bento lunch ideas. Get the school year started off right with these easy back to school lunch ideas for kids. I love that these lunchbox ideas are easy to make but look so fun that the kids will be sure to eat them! Everyone will be happy this school year with their packed lunches. Plus, these ideas do not break the bank or take forever to put together. 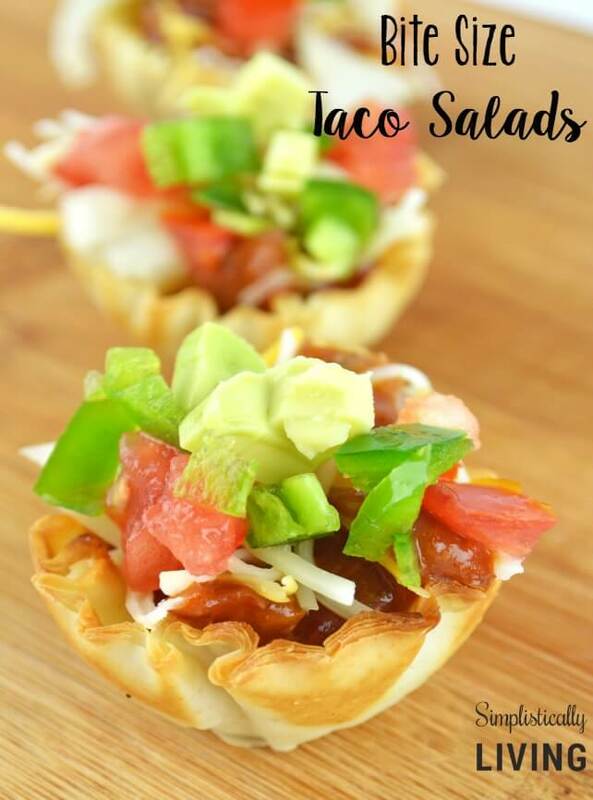 From taco salad to trail mix, there is something for everyone. Try one of these lunch ideas for kids that are quick and easy. With so many delicious school lunch ideas, every day will be a hit. Let us know which of these easy 30 ideas for school lunches you like the best! 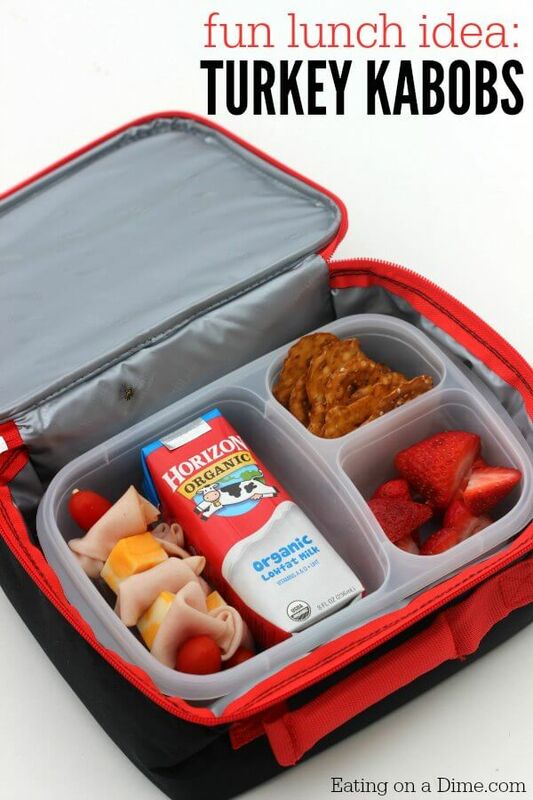 Back to school lunches do not have to be stressful or difficult. With so many school lunch ideas for kids, lunch time is sure to be a hit. 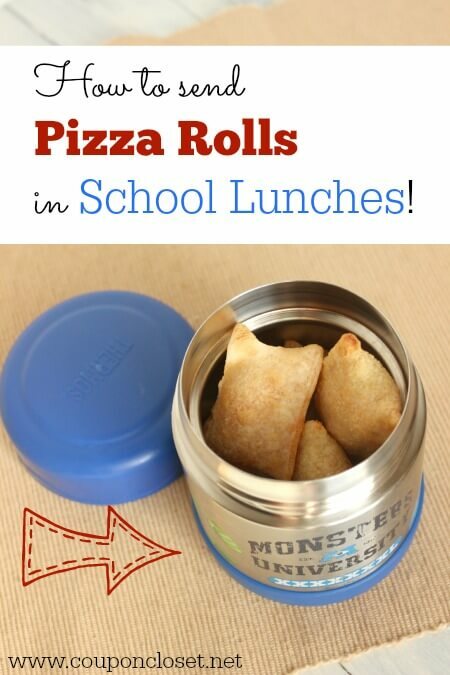 Try these lunch for kids ideas! Now that you have so many new kid lunch ideas for school, the biggest issue will be deciding which to try first! 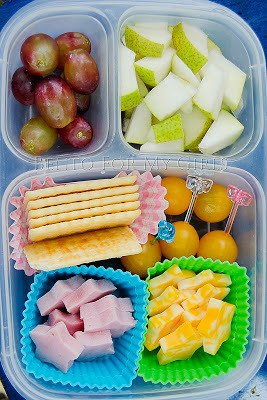 These lunch box ideas for kids are tasty and delicious. Packed lunch ideas for kids don’t have to be boring with these tasty ideas! It can be difficult to get everyone out the door with a healthy breakfast on school mornings. 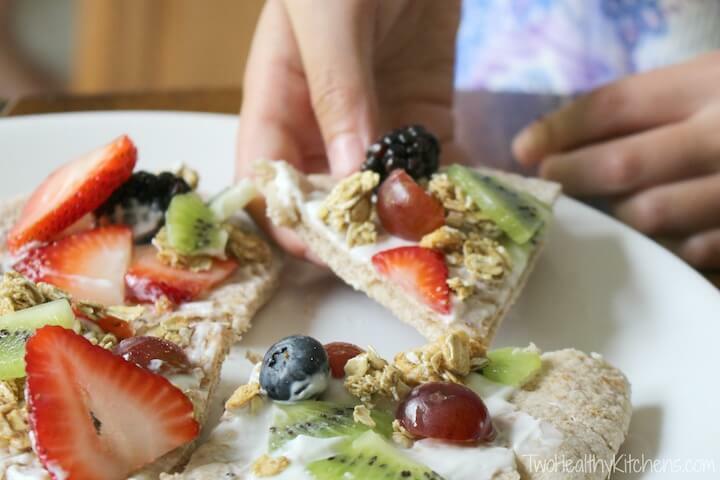 Here are 25 easy healthy breakfast recipes to start the school year off right. For more ideas, try these School Lunch Ideas for Kids.